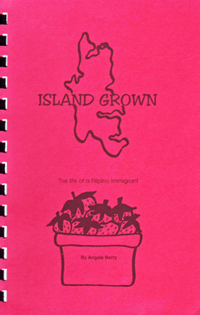 Angela Berry's booklet 'Island Grown' (1998) traces the history of Filipino immigrants to Bainbridge Island. Personal stories and family photographs make the narrative come alive and highlight the contributions of this special community. In recognition of their manifold contributions to the island, the city of Bainbridge Island has declared August 14 Filipino-American Day.